NFL notes on playing games in China, Jay Cutler’s future with the Dolphins, a possible Patriots trade and more. Two games into the season and Malcolm Butler finds himself in the Patriots’ doghouse. 3. 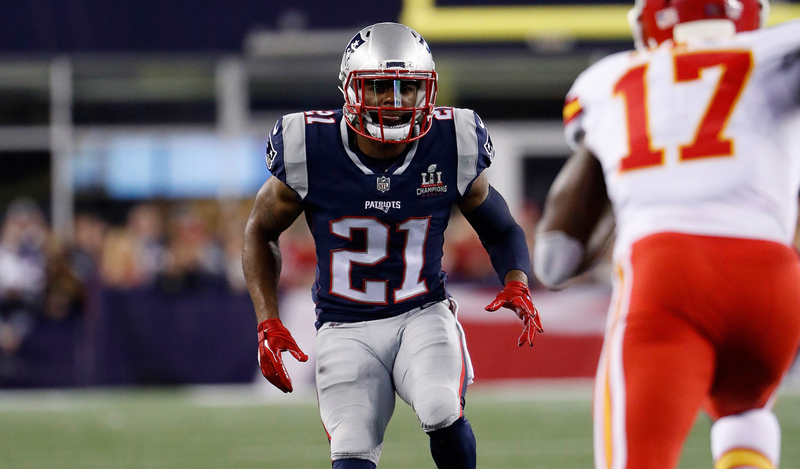 The league’s Halloween trade deadline is less than six weeks away, and I expect teams will call on the availability of Patriots cornerback Malcolm Butler. He didn’t start Sunday against the Saints, and his playing time was cut in the same way Jamie Collins’ minutes were last October, before New England dealt him to Cleveland. Sometimes, contract situations can get in players’ heads, and Bill Belichick showed last year with Collins that he won’t hesitate to move on. 4. Who would be the trade partner? The Eagles make sense. And they have a versatile front seven piece that would fill a major need for the Patriots and has been tied to trade talks in the past: linebacker Mychal Kendricks. 5. If you ask Sean McVay and Kyle Shanahan about Thursday night’s Rams-49ers matchup, the ex-Redskins staffmates would tell you there’s something surreal about the two being opposing head coaches this soon. And here’s another interesting side note: Last year McVay blew away the Niners in his interview. During it they asked, “If we can’t get you, who should we hire?” McVay’s answer: Shanahan. 7. Seahawks cornerback Richard Sherman on injury reports: “I guess from what I understand the rules are for gamblers.” You guess correct, Sherm. 8. Jay Cutler looked pretty good Sunday for a guy working his way back into fighting shape against the Chargers (230 yards passing, 101.8 rating). And now, with the Jets and Saints up next, Cutler has a chance to build some momentum, and maybe start building the case that he should be more than a rental in Miami. 9. The situation with Packers defensive lineman Mike Daniels’ hip bears watching, particularly since the team signed Ricky Jean-Francois on Wednesday night. Daniels may be the second best player on the team as it stands now, so losing him would be devastating. 10. How I took coach Ben McAdoo calling out Giants QB Eli Manning on Monday? McAdoo was putting his players on notice, by showing them that no one (not even a two-time Super Bowl MVP) is above being called out. Harder to address for McAdoo will be the longstanding issues along the offensive line and with defensive depth.